The strong “Serbian spirit” on campus this year is reason to be thankful and rejoice! But that also means your help is needed to keep educating and forming these future servants of the Serbian Church. The Serbian Scholarship, so generously established by some of the Seminary’s outstanding servants and donors, pays for up to three Serbian Orthodox students each year to attend seminary. Funding is needed, however, for the other four. The Seminary needs to raise $25,000 before the end of the 2018-2019 academic year in May to clear all debt before the other Serbian Orthodox students can register for next year. 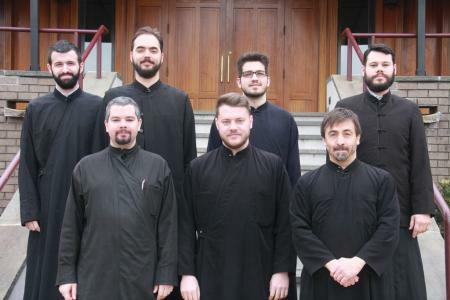 To help provide a theological education for St. Vladimir’s Serbian Orthodox seminarians, click here.